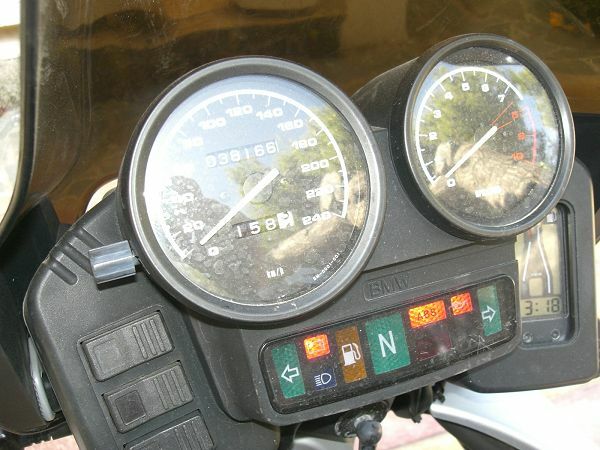 Two good mods for the R1100GS! Let's get two facts straight from the beginning! First: I did not think of these two mods on my own. I actually found them on the www.ibmwr.org site. You can also read them at the "R1100 tech articles" setion. 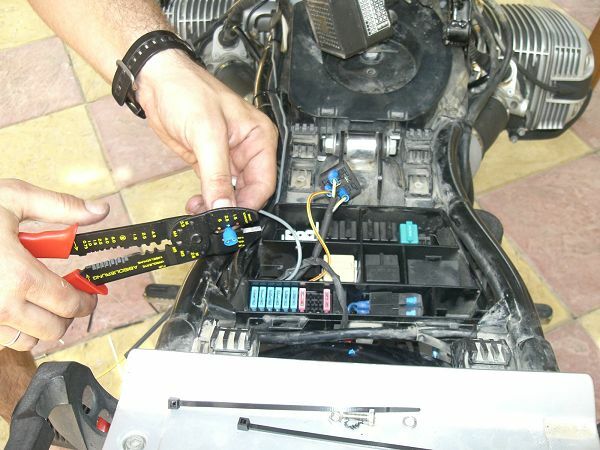 Some two years ago I changed the bike's battery, installing a brand new "official" Mareg battery. 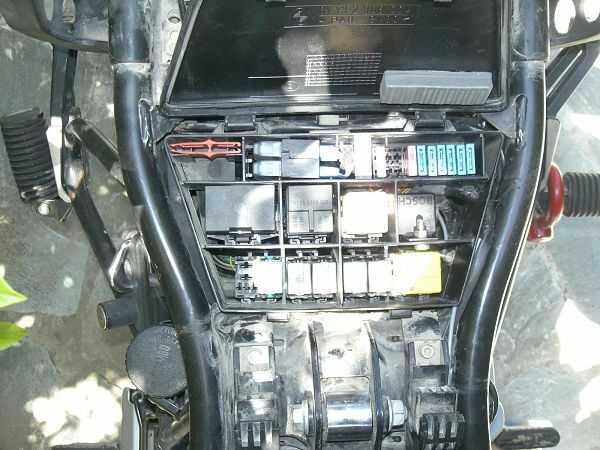 However, during both winters in the meantime, the battery discharged, and of course I recharged it properly in order to ride the bike again... Even so, I believe these discharges did not do any good to the battery, and nowadays, even though the battery seems very strong to crank the engine, the ABS would not initialize, as it should. Sometimes even after riding 30 minutes and restarting it would not initialize. So, we performed the "ABS-II Low Voltage Fault Modification" as described by Mick McKinnon with words from Brian Curry, IBMWR President(s) at the above link. 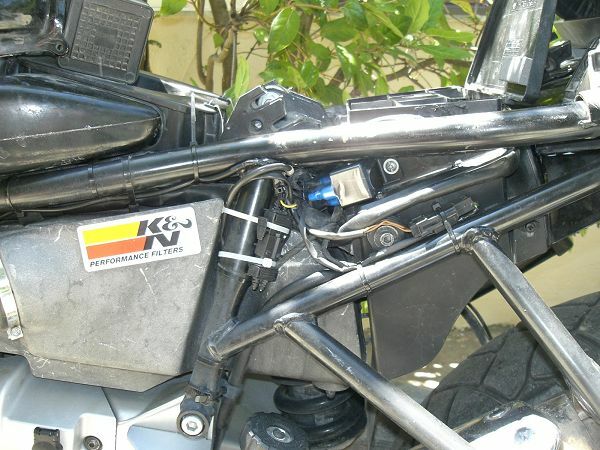 The other mod, is the "Another Way to Start Your R1100RT With the Sidestand Down", also by the same Author, which, I believe applies to all R1100/1150 bikes. At least it applies fully to my '98 R1100GS! 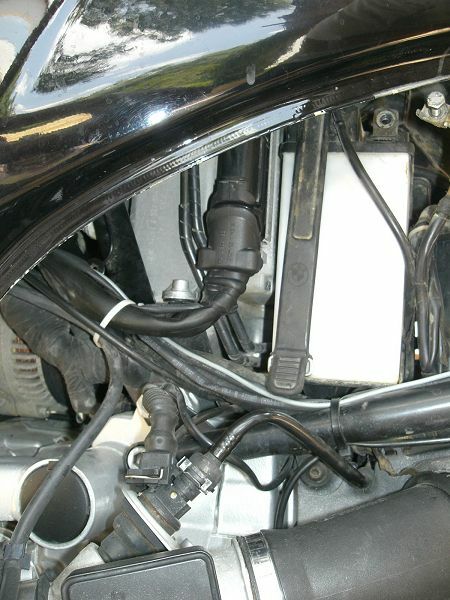 In short, it allows the bike to start when the sidestand is down, but only if the gearshift is in neutral. Whenever I pull the clutch and shift any gear, as soon as the green neutral light goes out, the engine dies, too. To save anyone from the... agony, both mods work exceptionally well! 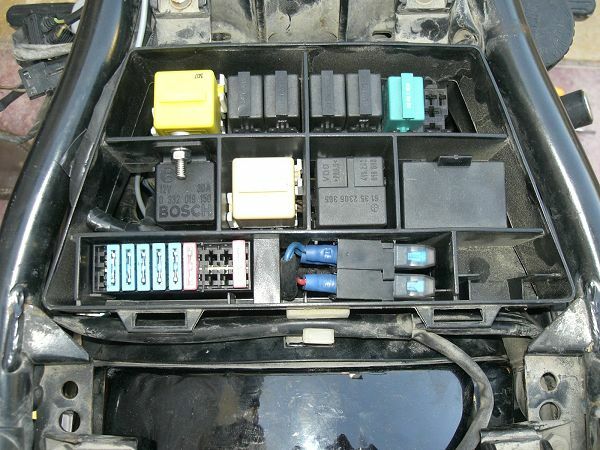 We used two relays, as proposed in Mick's articles, both relays being the same Bosch part number and costing some 7 euros each. Here you can see the light-grey wire coming from the alternator. It's very well disguised near the original wiring of the bike. 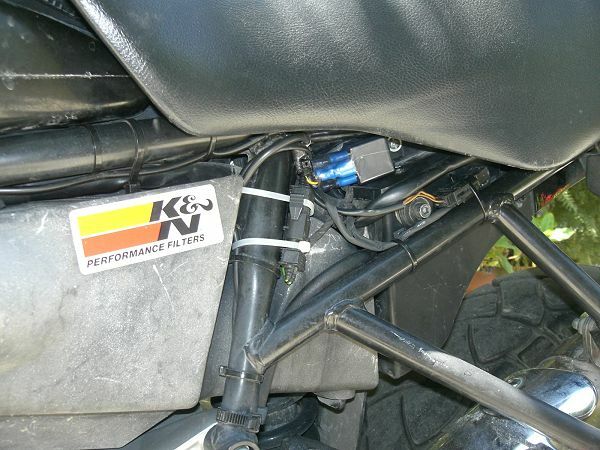 The only clue that there has been a mod, are the white zipties which we used, since we ran out of black ones!!! After all was done, we tested it: With the main switch on, and the engine not running, only the upper ABS light is on, and not blinking... After starting the engine, both ABS lights will start flashing together and once on the move, the ABS will engage correctly every time! This is where the new relay was positioned. At the left, in the middle row. It was secured with a bolt, nut and grover. The two light blue fuses on the lower right are the alarm's fuses. This is how the new sidestand relay looks. We used white zip ties because we ran out of black ones, but I will rectify this tomorrow! We wrapped the relay with Team Orion 6-cell battery heat shrink, so it's a little water resistant! We drilled a 4mm hole on the side of the relay box and bolted the outside relay to it, so it won't move around... The bolt was also a 4mm, so hopefully it will keep that hole water tight, too!! !